Game of Thrones Stein - House Targaryen - 22 Ounces - Fill this highly detailed ceramic stein with your favorite beverage while watching this season of Game of Thrones on HBO! 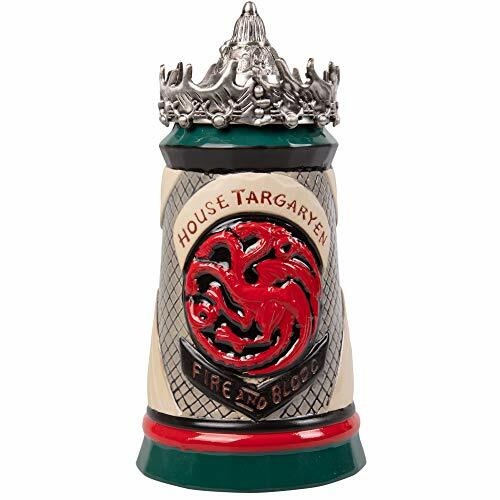 Join House Targaryen in a toast with this highly detailed ceramic stein! Embossed with House Targaryen's dragon sigil and banner with their house words "Fire and Blood"
Officially licensed HBO Game of Thrones product! Hand painted, which can cause slight variations in design.